May 4, 2017, 12:31 p.m.
By Laura Hazard Owen @laurahazardowen May 4, 2017, 12:31 p.m.
Our interview, condensed slightly for length and clarity, is below. Laura Hazard Owen: When did you decide that you wanted to launch Wikitribune? Jimmy Wales: I’ve been thinking about this concept for quite a long time. About five years, actually. I did a lot of thinking about the design of the community, how it would work, how the software should work, etc. and decided at the beginning of this year that it was time to move forward. It felt like the right time, what with all of the buzz about fake news and Kellyanne Conway saying “alternative facts,” which really annoyed me. My friends from [community open source platform] Impossible were very eager to help me and to host me in their offices to run a hackathon to test some of the ideas and to help me get launched. Owen: When you were thinking about models for Wikitribune, how did you come to decide on the professional journalists-plus-crowd model? What other models did you look at, that you didn’t think would work? Wales: Several years ago, there was a lot of excitement and buzz around the idea of citizen journalism. But most of the citizen journalists’ initiatives have kind of hit a wall. There’s only so much that people can do in their spare time, from home, and so that model proved to be partially successful but fairly limited. I saw that what you actually need is a hybrid model. You need to have some professional journalists on staff who can do the things that it’s too hard to do from home, and yet you shouldn’t discount the value that a great community can bring in terms of fact-checking, overseeing things, working on neutrality, and even doing some original reporting, when they’re well-suited to do it. Owen: How do you think about the place of Wikinews now, and how do you see this in comparison to Wikinews? Wales: Wikinews is a super-interesting project, but it hasn’t really managed to scale. The reason, I think, is what I’ve already talked about; I think there are limits to what you can do as a purely hobby site, and that’s very different from an encyclopedia, because an encyclopedia isn’t timely in exactly the same way, and you can take your time to get it right, and there’s no rush. But news is news and it’s only news once. I think the Wikinews community will carry on as before. They seem to enjoy what they’re doing, and I think that’s great. 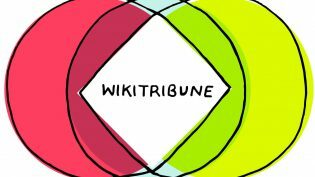 [Wikitribune will be] releasing everything under the same Creative Commons license that [Wikinews] uses, so hopefully they’ll be able to take our work and do some interesting things with it. Owen: And what’s Wikitribune’s business model? Owen: What’s the amount of the average donation? Wales: About half of the people signing up are signing up for monthly support, rather than one-time support, and that’s really important to us because monthly support makes it a lot easier to plan around hiring and things like that, because people get paid on an ongoing basis. The typical amount we’re asking, we’ve been doing some A/B testing [between different default choices — the ones I saw were $10, $40, and $120 a month] but $15 a month is typical. Owen: And is the idea that this is going to be 100 percent crowdfunded, or is there money coming in from other sources as well? Wales: At the moment, it’s 100 percent crowdfunding except for what money I’m putting in. We are hopeful to get some money from other sources, but at this stage, I’m really focused on the crowdfunding because I think if people are willing to support this in concept, even before we get started, that’s a good sign that we’re going to be able to attract an audience. If people aren’t willing to support it, then the whole business model has to be rethought from the beginning. But so far, the response has been incredible, so I’m pretty optimistic. Owen: As of today, Wikitribune.com says that 5 out of 10 journalists are funded so far? Wales: We’re shooting to have 10, at a minimum, to start. It’s looking very good so far. We’re just now starting to process the hundreds of resumes we’ve gotten already. We’re starting to look through those to find the first people to interview and hire. Owen: And when you say five out of 10 funded, that’s — the pool of money for the reporters’ salaries? Owen: So there is a number that you want to reach, but you’re purposely not sharing it? Wales: I don’t have a number in mind. I have a number of journalists in mind and a complicated budget. We want to be ongoing, and so we don’t need to raise all the money up front to pay the journalists for a whole year, because we’ll get new subscribers once we’re launched. So it’s not about achieving a number, it’s about getting to a certain cash flow that looks sustainable. Owen: Do you see yourselves being transparent about the financial workings of the business as well as the journalism? Wales: Oh, yeah, definitely, as much as possible. Transparency is something that I’m really big on. I do think that there are some demands for transparency which are not appropriate. Sometimes people say, oh, why don’t you publish the salaries of every single person that works at Wikipedia? It’s like, well, it’s people’s personal salaries; you don’t really need to know how much the receptionist who answers the door at the office is making. But we do want to give real guidelines about what payscales are and what the money is being used for. I think that’s important. Owen: Where will these people be located? Wales: I’m a big believer in remote work, but I’m also a big believer that you do need a core of people in one place. I live in London, so I think the first hires will be in London. Owen: What kinds of stories do you see coming out of this and how do you see them originating — with the journalists deciding what they’re going to cover? With the crowd deciding what it wants to be covered? Wales: I think it’s going to be a little bit of everything. I can see lots of ways that a fluid and dynamic system can evolve. There are certain elements where I can foresee some things that are quite plausible. There are types of stories like when there’s a big sort of document leak, that sort of thing, and there are thousands of data points to look through — I think the community can be very good at dividing up that data and getting through it quite quickly, and highlighting things for the journalists to do the storytelling around that. To the maximum extent possible, I’d like to see us showing our work. Maybe you interview someone and you write the story in a very traditional way, but you also publish the transcript and even the audio so that the community can actually, if they’re interested — and I think many people will be — check those against the story and say, “Yeah, this is a fair quote, it’s not out of context.” Or, “Maybe this person was joking when they said that, but you’ve written it up as if they were serious, and we should probably edit that to make it more clear that it’s a joke.” There are lots of things like that; there’s no reason to exclude people from helping out with that sort of thing. Owen: Are there specific reporting that you think are undercovered right now that you’d like to see the site address? Or, when you’re talking to job applicants, what kinds of things are you discussing in terms of projects? Wales: I think I can answer this in two ways. There’s what we start with first, what we do now: For that, I think we want to be quite general, broad news. Political news, I think, is of the most interest right now, and so I think that that’s where we’ll focus at first. But where I really see an interesting set of opportunities is around more communities of interest, both local in a geographic sense but also in terms of interest. I’ve been using the example of bitcoin. The bitcoin community online is a very large, active community. Reporting on bitcoin is a bit treacherous for most journalists because it’s incredibly technical and subtle. That community, I think, does feel that it would like to see more quality journalism about what’s going on in the bitcoin world. So they may say hey, yeah, we identify that as an area that we’d like you to put a reporter on, and then get enough people signed up to do it. It could be anything. I chose bitcoin because I think it’s a tech-savvy group who will understand this, but in the long run, it could be all kinds of things that are really underserved by the news. Dog breeding, for example. Not much dog breeding news in the daily newspaper, but there’s a lot that goes on in that world, and for them to have someone full-time reporting on what’s going on in that world of dog shows and things like that, I think could be very interesting to a smaller, but very passionate, audience. If your business model is purely advertising, then that’s a very difficult market to serve, because you’re really pushed to seek out the most popular things at all times, whereas here, you’re really pushed to seek out things that are interesting enough that at least someone is willing to pay for. Owen: When do you see this launching? The first article that you do or first project? Wales: It’s not 100 percent clear yet, but very, very soon. This isn’t something that we’re going to raise money and then go off and trot off work and work on software for six months. We want to get started very quickly. We did a hackathon over 4 days in London to test the ideas and used a modified version of WordPress for that, and it worked pretty well. There are still things we need to change about WordPress, and so I’m going to need to hire some developers to help with that, but it’s enough to get started so that we can go ahead and move forward and start experimenting and showing what it’s capable of doing. POSTED May 4, 2017, 12:31 p.m.
Owen, Laura Hazard. 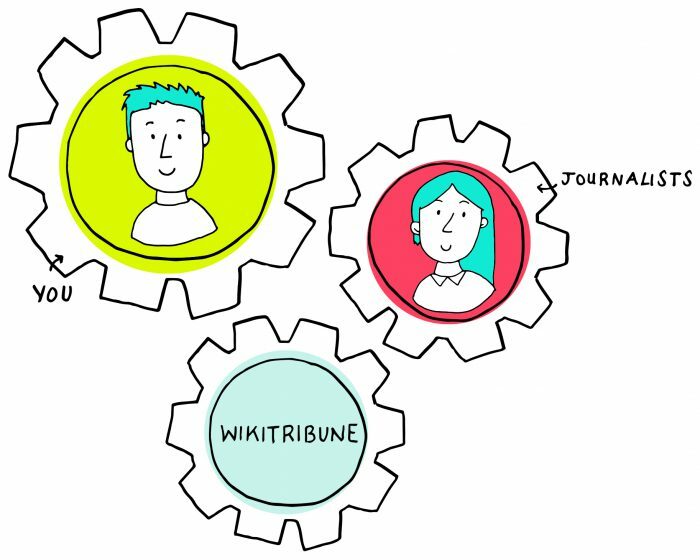 "Jimmy Wales on Wikitribune’s business model and why it might cover not just politics but also dog breeding." Nieman Journalism Lab. Nieman Foundation for Journalism at Harvard, 4 May. 2017. Web. 23 Apr. 2019. Owen, Laura Hazard. "Jimmy Wales on Wikitribune’s business model and why it might cover not just politics but also dog breeding." Nieman Journalism Lab. Last modified May 4, 2017. Accessed April 23, 2019. https://www.niemanlab.org/2017/05/jimmy-wales-on-wikitribunes-business-model-and-why-it-might-cover-not-just-politics-but-also-dog-breeding/.